The Hare summoned me one morning, via thought-wave, to a beach. I encountered him staring into the-middle-of-somewhere, contemplating nothing. “Hare” I said, “It is a good day to build castles”. “Oh good. Hare, what is that you are holding? The Hare ventured into the water, with a conch held firmly to his ear. He sang a short burst of song, and returned to the shore. “It is an iConch” said The Hare. “I’ll forgive that typo..”, said The Hare. the tears are in my lap. and this is meant to be fun. would scare me even more. 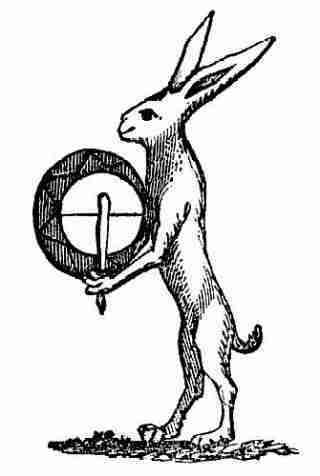 The Hare keeps a small church by his bedside, and awoke with the tolling of its bells. “Breakfast”, he thought. Everything starts with Breakfast, perhaps a cup of coffee. 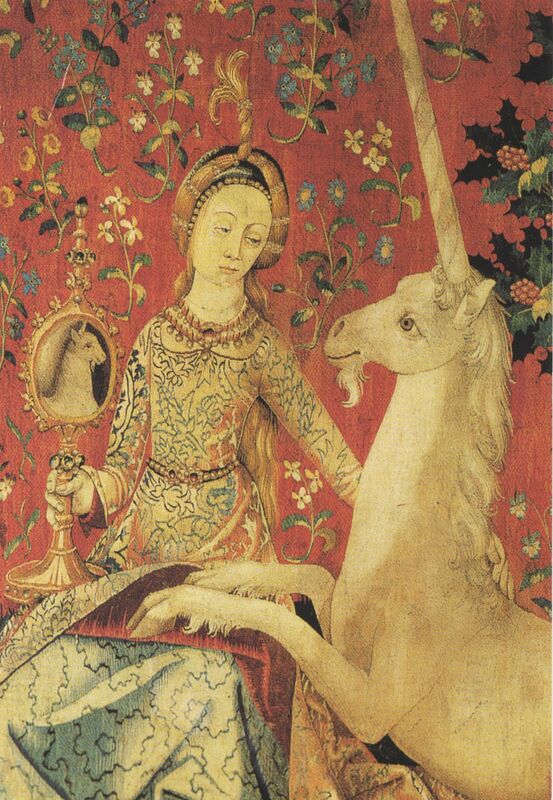 But first, he felt compelled to stay in bed a moment, to peer through the church’s stained-glass window, which depicted a woman admiring herself and a unicorn, idly in a mirror. In the church, the Hare spied a priest arguing with an esteemed member of the congregration over the meaning of a specific word of Scripture. The word was “Breakfast”. The Hare was hungry, and prepared the eggs he had been storing in his pocket. The eggs, cracked over the heads of newborn children, were to be served with the turmoil of their creation, kidnapping, and subsequent consumption. The eggs were pain of course, but a quiet pain, of the not-too-distracting sort, which can be endured over breakfast. As part of The Hare’s breakfast ritual, he rolled up the newspaper, and ate it. He then checked his watch, shampooed his hair, took of his clothes and said hello to an unsuspecting new world. Peter And The Hare Are One! It has been almost exactly a year since Peter and The Hare’s First post, which happened on this day last year. When you first met us, we started Meeting Ourselves, and since then have pursued several treacherous avenues that either went somewhere, or didn’t. If you have joined us, and have enjoyed us, we are Thankful and we Thank You. If a computer screen and several miles of cyber-fog did not separate us, we would Touch You with all our hearts, which would beat you lovingly into submission. Of course, The Hare may have confused you, and left you as bemused as a mewing, orphaned lamb fed pickles. This is The Hare’s cruel fancy, though he is often kind. Before I met The Hare, he himself was an orphan – a hare-child; lame and full of Silly. I could not hope to make him a man, nor a boy, nor a friend, companion, or extraterrestrial f**k-buddy…. I fear he is hellbent on making Orphans of us all. At best, his presence is like carrying around one’s favourite piece of shrapnel in a fanny-pack. I opened the window and had to stop myself from falling. There were trees… I was quite tired, though. The shopkeeper added his own money to the till. The Moon did not have golden syrup. There was, instead, a pigeon, and many pigeon servants would follow. …while I played a lot of Tetris. 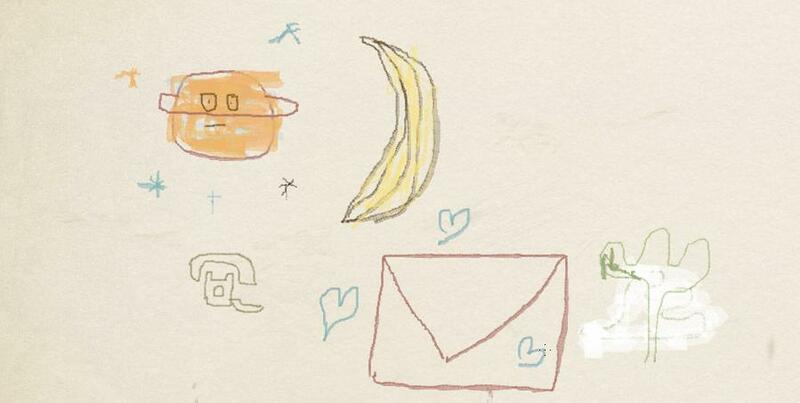 The monkey squeaked. The organ squeaked. We were Born on the 4th of January. In celebration of this occasion, I have prepared for you a gift that is not mine to give. We saw an mp3 blog once, and thought we’d do that. Peter And The Hare’s First Birthday Compilation! To be played in it’s entirety, and in sequence. Songs for sample only. Shopkeeper’s link’s provided. If you like it, buy it. The songs won’t be here for long, but if you don’t like a song being here, email me and I’ll remove it.